For public security, safety, and defense, please click here. We've built our radio to serve a number of use-cases, all while being simple, secure, and reliable to operate. At sea, KNL HF Service emails are limited to a maximum size of 195kB. IoT connectivity is tailored to individual applications. Nearshore KNL offers full internet service while connected to cellular. 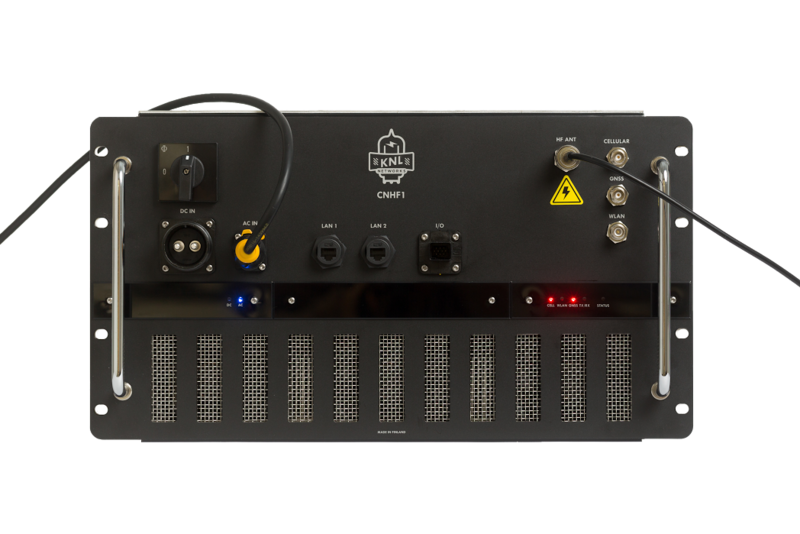 The KNL Radio is rack mountable, and requires an included HF antenna (powered by a transformer), a cellular antenna, and a GPS antenna. For more information, contact sales@knlnetworks.com.